Total Plant Hire Pty Ltd specialise in the dry hire of reliable, low hour, late model Mining and Earthmoving equipment. All of their equipment is supplied to full mine specifications and can be tailored on request to meet any specific site requirement. They have a range of low emission equipment specified for Enclosed Buildings and Underground Mining Operations. 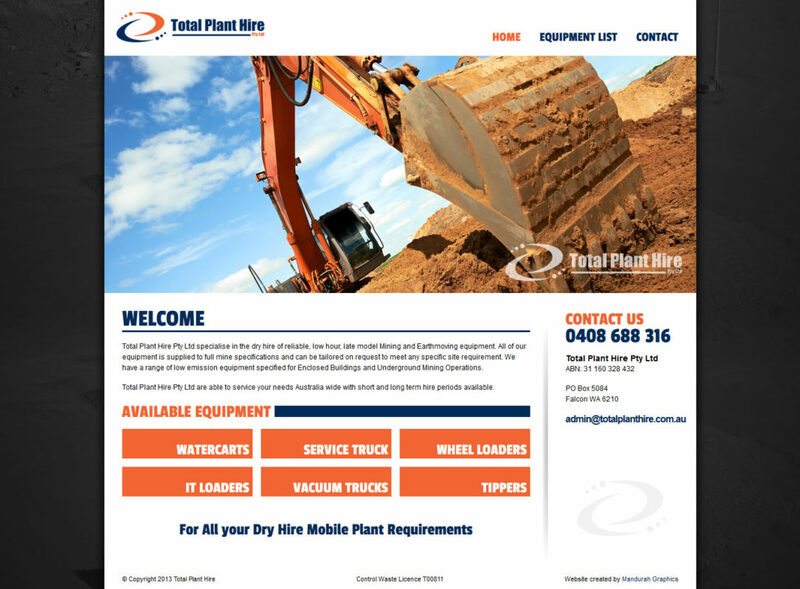 Total Plant Hire’s website was designed by Mandurah Graphics to be simple, yet appealing. The client didn’t want visitors to be bogged down with details, instead displaying information that was punchy, and to the point. The result is a website that does exactly what it sets out to do, in a convenient and professional fashion.